Patricia Terry-Ross is a shining example of a talented and accomplished artist whose aspirations and achievements have never detracted from her commitment to nurture the creative talents of others. Like many young children, Terry-Ross’ innate musical abilities first appeared as singing and dancing in her crib. Atypical, however, is that she performed a piano solo on television at 6 years old, just a year after beginning formal piano lessons. From the Detroit Conservatory of Music to the University of Michigan, Terry-Ross’ virtuosity enabled her the journey of her choice as an artist. She has performed on renowned stages across the country, including the Kennedy Center and Carnegie Hall, and she has collaborated with an array of iconic artists, including Luciano Pavarotti, Sammy Davis Jr., and Marvin Gaye. She has been the principal harpist at the Michigan Opera Theatre for 40 years, and continues to perform with her chamber music group, the Eason Trio. While reaching exceptional heights as a musician, Terry-Ross has called Detroit home, sharing her talent generously with others through a parallel career as an award-winning educator. 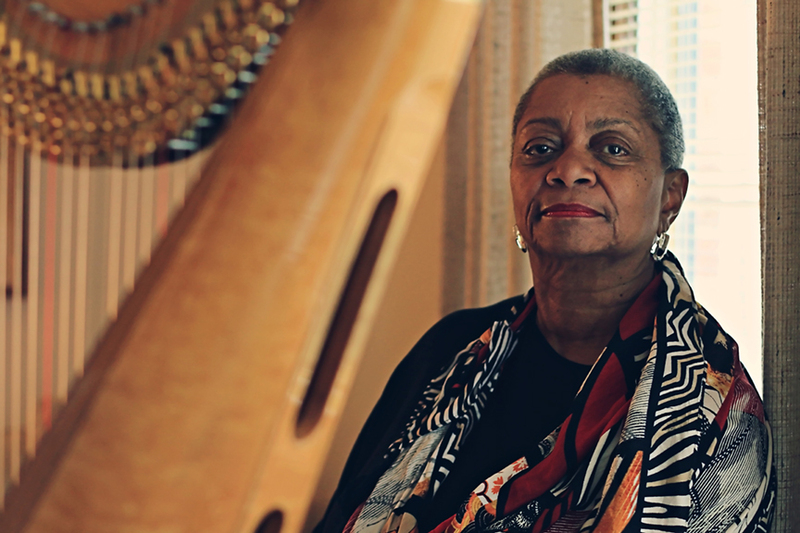 For over 30 years she led Cass Technical High School’s legendary Harp and Vocal Ensemble, which is where she first encountered her instrument of choice, studying under esteemed instructor Velma Froude. Terry-Ross is currently an adjunct associate professor of harp, choral conducting and vocal music education at Wayne State University. The Kresge Eminent Artist Award, administered for The Kresge Foundation by the College for Creative Studies, includes a $50,000 prize that acknowledges exceptional artistic talent and unmistakable impact. The Eminent Artist Award recipient is selected by the Kresge Arts in Detroit Advisory Council, a volunteer group of leaders in the metropolitan Detroit cultural community. According to Terry-Ross, “If you just do honor to your gift, things will happen.” Wonderful things have happened for countless audiences and students thanks to Terry-Ross honoring her gift. With this award, we recognize the generosity with which Terry-Ross has honored her gift – from the stage to the classroom. By captivating audiences with her music, and and encouraging students with the possibilities of creative expression, she has left an indelible mark on the legacy of music in Detroit and beyond.